A lifelong artist from McKinney, TX, Diana specializes in powerful pop female comic heroines with a taste of the twisted. She blends her unique mixed media style with recycled materials. Find out more about her at http://almandjoyart.com/. Look for Diana's teen workshop "Pop Girl Portraits" coming this September! A painter and art teacher from Dallas, Texas, Cori integrates themes of hope and healing with the natural world.After undergraduate studies in theatre, art, and philosophy, she earned her M.A. in Theology and the Arts from United Theological Seminary of the Twin Cities and continued with doctoral studies at the Graduate Theological Union and U.C. Berkeley before turning to education. A former early childhood teacher, she encourages aesthetic self-discovery through experiential, open-ended art experiences. 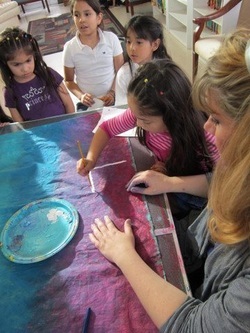 Cori is an active artist and arts educator in Dallas through organizations such as ArtLoveMagic and La Reunion, as well as a variety of churches, schools, and nonprofits. She serves as the Education Coordinator for Gallery at MIDTOWN. Find out more about her at http://www.coriberg.blogspot.com/. Look for Cori's classes for elementary students and adults, as well as her Family Open Studios in the August lineup! 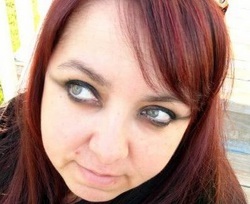 Jacqueline is a modern artist, jewelry maker, and app developer from Dallas, TX. Her paintings are inspired by anime, emotions, and travel. She received her Bachelor of Arts in Art & Performance from the University of Texas at Dallas. Find out more about her at http://www.jacquelinecolt.com/. 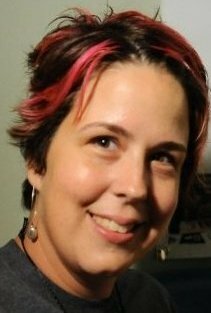 Look for Jacqueline's Pop Anime Workshop in the Middle/High School classes for August! Hatziel was introduced to Hip Hop culture and graffiti at age fourteen. He quickly became acquainted with different kinds of art mediums, starting to evolve his visions and express himself through his art in a free manner.Today he integrates urban techniques with Surreal influences, resulting in an edgy Modern Surrealism. Find out more about him at http://hatzielflores.daportfolio.com/. Look for Hatziel's Graffiti Workshop in the Middle/ High School classes for August! Diana is graduate of the University of North Texas in Denton in Art History, she still had a thirst for knowledge and experience. She specializes in Ceramics, Book Art, Painting and Printmaking. She is the owner of Clayhouse Studios. You can find out more about her by visiting. Look for Diana's Bookmaking Workshop for Teens in the upcoming Middle/High School classes this September! 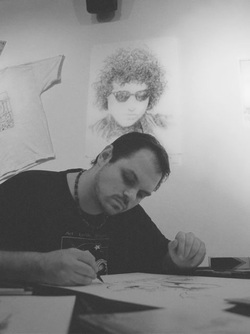 Michael has been a professional in the comic book industry for over 15 years. This summer his writing and art is featured next to comic book legends Robert Crumb and Will Eisner is 7 Stories Press' THE GRAPHIC CANNON. 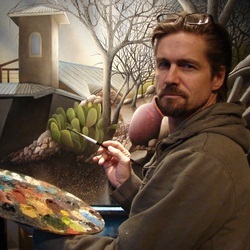 He studied painting, drawing, and creative writing at the University of North Texas. As one of the founders of Dallas-based ArtLoveMagic, he is a prominent activist for the Dallas arts community. He also works professionally as a graphic scribe. Find out more about Michael at http://www.artlovemagic.com/. Look for Michael's teen Comic Book Workshop in the Middle/High School classes for August! 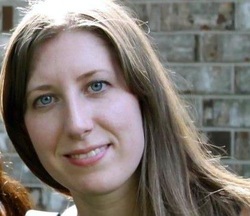 Tonia was born and raised in Ontario Canada. She received her degree in Fine Art studies in Athens Greece where she maintained a small studio for a number of years. Her education then continued into architecture were she received both degrees and a diploma from the University of East London. 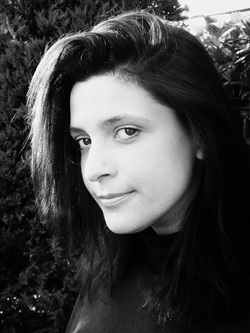 Tonia is passionate about architecture, sculpture and the arts. Look for Tonia's Watercolor Landscapes class in the Adult classes for August! Sandhya is a certified Zentangle teacher from Garland, Texas. Her works are abstract interpretations of mystic figures and themes from the cultures of India. She explores these subjects in vibrant colors through mixed media- watercolors and ink, and oils and clay for an embossed effect. 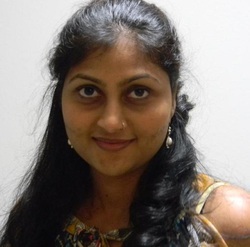 Find out more about Sandhya at http://www.sandhyamanne.com/. Look for Sandhya's Zentangle Basics class in the Middle/High School classes for August! Eddie Medina is a Dallas-based artist whose love of movies and comics has led him to a career as a freelance illustrator and writer. He has taught art to ages 5 to 18 full time for nine years and part time for an additional six. 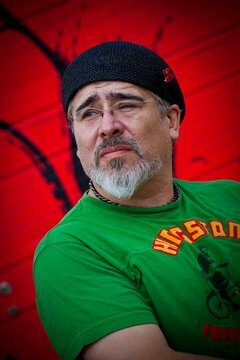 Eddie is currently focused on producing artwork through his studio EdMed Arts and publishing comics and children's books through his label Atonement Studios. 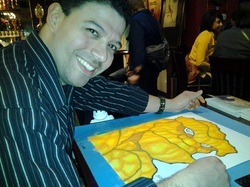 You can learn more about him http://www.eddiemedina.com/. Look for Eddie's Creating Cryptid Creatures class in the Middle/High School classes coming this September! Look for Kevin's Introduction to Facial Proportions class in the Adult classes for August! 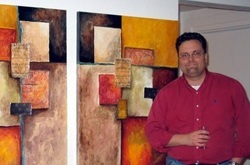 Look for Roy's Mixed Media class in the upcoming Adult class lineup for September! Look for Douglas's Painting Skies class in the the upcoming Adult class lineup for September!